J. L. Budd; Niels E. Hansen (1902). American Horticultural Manual Part One. London: John Wiley & Sons. http://chestofbooks.com/gardening-horticulture/American-Horticultural-Manual-Vol1/index.html 2008年5月11日閲覧。. J. L. Budd; Niels Ebbesen Hansen (1911). American Horticultural Manual, Part Two: Systematic Pomology. London: John Wiley & Sons. http://chestofbooks.com/gardening-horticulture/American-Horticultural-Manual-Vol2/index.html 2008年5月11日閲覧。. Arizona Master Gardener Manual. Cooperative Extension, College of Agriculture, University of Arizona. (1998). http://ag.arizona.edu/pubs/garden/mg/index.html 2007年8月6日閲覧。. Thomas Joseph Dwyer (1903). 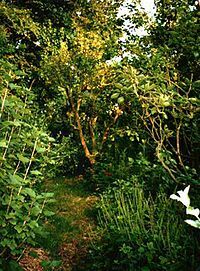 Guide To Hardy Fruits And Ornamentals. Cornwall, N.Y.: T. J. Dwyer & Son. 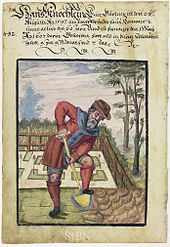 http://chestofbooks.com/gardening-horticulture/Thomas-Joseph-Dwyer/Guide-To-Hardy-Fruits-And-Ornamentals/index.html 2008年5月11日閲覧。. Robert Hogg (1860). The Fruit Manual. London: Cottage Gardener Office. http://chestofbooks.com/gardening-horticulture/Robert-Hogg/The-Fruit-Manual-Descriptions-and-Synonymes/index.html 2008年5月11日閲覧。. ^ Douglas John McConnell (2003). The Forest Farms of Kandy: And Other Gardens of Complete Design. p. 1. ISBN 9780754609582. https://books.google.com/books?id=QYBSfUJPQXcC&lpg=PP1&pg=PA1#v=onepage. ^ Douglas John McConnell (1992). The forest-garden farms of Kandy, Sri Lanka. p. 1. ISBN 9789251028988. https://books.google.com/books?id=G3QPo7lThXsC&lpg=PP1&pg=PA1#v=onepage. ^ Ryrie, Charlie (2004). The Cottage Garden: How to Plan and Plant a Garden That Grows Itself. Collins & Brown. p. 7. ISBN 1-84340-216-5. https://books.google.com/books?id=8VfO_WIAx0wC&pg=PA7. ^ Scott-James, Anne; Osbert Lancaster (2004). The Pleasure Garden: An Illustrated History of British Gardening. Frances Lincoln Publishers. p. 80. ISBN 978-0-7112-2360-8. https://books.google.com/books?id=IbhwIo3m3mQC&pg=PA80. ^ Boults, Elizabeth and Chip Sullivan (2010). Illustrated History of Landscape Design. John Wiley and Sons. p. 175. ISBN 0-470-28933-3. ^ Mickey, Thomas J. (2008) . Deconstructing Public Relations: Public Relations Criticism. Routledge Communication Series. Mahwah, New Jersey: Routledge. p. 43. ISBN 9781135652210. https://books.google.com/books?id=wxaQAgAAQBAJ 2018年1月21日閲覧. 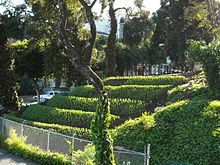 "The number-one leisure activity in the United States is gardening." ^ Swift, Joe (2012). “Summer at the plot”. Joe's Allotment: Planning and planting a productive plot. Random House. ISBN 9781409070139. https://books.google.com/books?id=6c3UyYKo1EEC 2018年1月20日閲覧. "I suppose it is an atavistic connection with the land and the completely honourable peasant mentality, that was lost in Britain with the Industrial Revolution, yet persists in our gardens and allotments."